Suddenly Stevens are everywhere. Could it be the window cleaner, the rep, the manager of the coffee shop, or any of the men she’s met online? During this unusual search, will Sarah find her destiny? ‘Searching for Steven’ tells the story of Sarah who finds a clairvoyant reading that’s been missing since her teen years, and discovers that she’s about to meet the man of her dreams. And he’s called Steven! Suddenly Stevens are everywhere. Could it be the window cleaner, the rep, the manager of the coffee shop, or any of the men she’s met online? On top of that, she finds herself quite attracted to a handsome web designer, but his name isn’t even Steven. During this unusual search, will Sarah find her destiny? Set on the stunning North Yorkshire Coast, ‘Searching for Steven’ is an uplifting story of one woman’s search for true love. I’d always loved the idea of writing a book, but didn’t know what to write about. I was at a crossroads in my life and my career when a friend gave me a gift voucher for a clairvoyant helpline, suggesting it might give me some clarity on what to do next. The clairvoyant predicted that I would meet and marry a man called Steven when I moved back home to North Yorkshire and opened a shop. I did move home, I did open a shop and, just like my heroine, Sarah, I found myself surrounded by Stevens, always wondering if one of them could be the Steven of my dreams. As it turned out, I didn’t find my Steven (I found my husband, Mark, instead), but I did find the elusive idea as to what to write about! Yes. 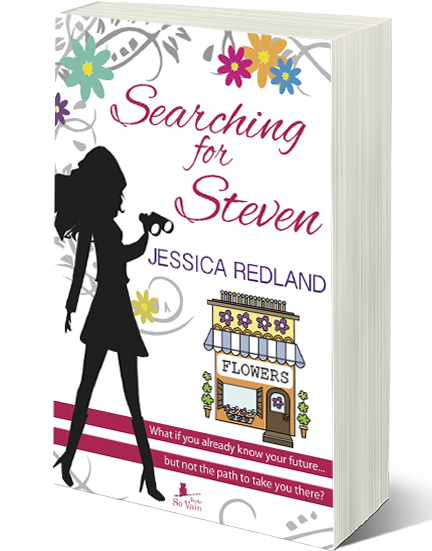 Originally it was going to be a stand-alone book, but Sarah is supported in her search for Steven by her two best friends, Elise and Clare. As I developed them, a story came to mind for each of them and I realised I had a trilogy on my hands. I also have further plans for stories set in the same fictional town of Whitsborough Bay, but with a new cast of characters. A movie? Yes please! Now, that would certainly be a dream come true. I’d struggle to name anyone specific, though. When I read a book, I never fully picture the characters; I just have a sense of their presence with some basic details like hair colour, build etc. I’m the same when I write. I don’t actually build a clear picture in my mind, but more of a presence. It’s therefore very hard to pinpoint anyone. I have a Pinterest board for each book, and I’ve been able to put a face to most of my secondary characters, but I’ve really struggled with my three heroines. I certainly can’t think of any big movie stars who fit the bill, and I watch so little TV (because evenings are my writing time) that I can’t draw from the small screen either. So I’ll let the readers use their imagination instead. I’ve always loved reading and writing. English was my favourite subject at school, along with any other essay-based subjects, and I loved any part of my day job in Human Resources that involved writing (whether this be an interview guide, a training manual, or a job advert). I’d never considered being an author until a former manager at work suggested I write a book because my business reports read like a story instead of a formal report. I dismissed the idea at the time due to a lack of ideas, but then I had my clairvoyant encounter. I hope one day to be in a position where I can write full-time. I love every part of the process, from thinking of the initial idea and developing the characters, to editing and polishing my work so that it’s the best I can make it. I get such joy out of turning words into worlds, and I delight in the thought that my stories can make others laugh, cry and/or have a warm and fuzzy moment. Tricky question! There are so many stunning covers out there. There’s a particular style of cover that I love which can be seen on the front covers of books by Paige Toon, Scarlett Bailey and Miranda Dickinson. I’m part of a writing group called ‘The Write Romantics’. My fellow WRs have had some amazing covers. I particularly love Helen Phifer’s Annie Graham series. ‘The Ghost House’ and ‘Secrets of the Shadows’ are my favourite covers of hers. ‘Flowers in the Attic’ by Virginia Andrews. I was about fourteen when a friend loaned it to me. It was the first “fat” book I’d ever read as well as the first one that wasn’t aimed at children. It gripped me from the very first chapter when the four children waited excitedly at a party for their father to return home from business, only for the cops to show with the news that he’d been killed in a car crash. I’d been gripped by books before, but this was a whole new level. I couldn’t put this one down. I remember clinging onto it, eyes wide, hardly able to believe the cruelty of the grandmother or the lies of the mother as year after year passed and the children remained trapped in a room and an attic. I think it was a combination of a fantastic plot, great characters, and the knowledge that it was inspired by a true story that had such a profound effect on me. I devoured the rest of the series, followed by the Heaven series too (which I also loved). I bought my own copy of ‘Flowers’ and read it so many times that it actually fell apart! Inspiration comes from all around me. I’m lucky enough to live on the beautiful North Yorkshire Coast. Three mornings a week, I rise at 5.20am to take part in a bootcamp on the seafront. Who could fail to be inspired by the sun rising over the sea, casting rays on Scarborough Castle? I’m inspired by people who do amazing things like overcome illness, run marathons, care for sick relatives, or simply live their lives to the full. For my writing, anything can inspire me. Sometimes it’s a setting, sometimes it’s a news story, but most frequently it’s a song. I can hear a lyric in a song that resonates with me and suddenly I have a whole idea for a novel that may have nothing to do with the rest of the song; it’s just that particular lyric that’s sparked something in my mind. I’d love to be all artistic and say a coffee shop or the beach or a meadow, but the answer is far more boring and practical. I write mainly at my desk in my very own office. It was our spare bedroom, but I finally convinced hubby that guests were so infrequent that the room would be for better as an office. The walls are painted yellow and I have inspiring signs, banners and pictures on the walls. I collect jointed teddy bears and there’s a huge glass-fronted bear cabinet next to my desk which is frequently covered in post-it notes plotting out aspects of my current work in progress. I’d love to have a huge white board in there, but one wall is dominated by a triple wardrobe so I simply don’t have the wall space for this. A lot of my favourite films aren’t based on books e.g. ‘The Shawshank Redemption’, ‘Notting Hill’, ‘27 Dresses’, ‘Ever After’ to name just a few. I love the Gwyneth Paltrow adaptation of ‘Emma’, but I confess that I haven’t read the book *hangs head in shame* so I don’t know how close it is to the film. I loved the film ‘The Green Mile’ starring Tom Hanks which was based on a series of six books by Stephen King. I’ve read the book, but I suspect this was the book version of the film rather than the series being combined into one volume. I loved it for the shock value and the element of magic within it. There are so many authors that I love and I’ve discovered a lot more through having a Kindle and access to so many more books than ever before. As a child, I adored Enid Blyton, then moved onto Virginia Andrews (as already mentioned) and Catherine Cookson. If I had to pick just one author whose books I always read now, it would be Jill Mansell. I discovered Jill on holiday when I was in my mid-late twenties and a friend loaned me ‘Millie’s Fling’. I loved it for the fun story, relatable characters, and the escapism it provided. I’ve read most of her novels since and would say that Jill’s work inspired me to want to write contemporary women’s fiction. I would choose four female authors who are sadly no longer with us, but who have all influenced my love of reading as a child through to my early twenties: Enid Blyton, Catherine Cookson, Virginia Andrews, and Maeve Binchy. Between them, they have penned so many wonderful stories and inspired me as a reader and, later, a writer. I’d love to explore where their ideas came from and how they weaved their stories together into such page-turners. What a gift to have! I loved teddy bears, especially collectible ones. I mentioned earlier that I moved back to North Yorkshire to run my own shop. It was a teddy bear shop called ‘Bear’s Pad’. I loved being surrounded by teddy bears and bear-themed products every day. A couple of months after opening it, I met my husband, but he lived two hours away. I closed the shop after two years to be with him. In tribute to my furry friends, I mention a teddy bear in every book I’ve written. I like the thought that regular readers might be watching out for the bear reference. I live in Scarborough, North Yorkshire, and have been here for ten years. The North Yorkshire Coast is stunning. We have the sea, beautiful countryside, the historic city of York nearby, and loads of wonderful history e.g. Whitby Abbey, Scarborough Castle, Castle Howard. It’s the home of Scarborough Fair which ran for 500 years to the 18th century (I’m sure most people know the song), and it houses The Grand Hotel which, at the time it was completed in 1867, was one of the largest hotels in the world. Author Anne Bronte died in a former building on that site and is buried in St Mary’s Church near the castle. The age of her death, as engraved on her gravestone, is one year out! It’s a popular location for films and TV series and I’ve seen a few things being filmed around the town. Jessica lives in a seaside town in North Yorkshire, England, with her husband, daughter, cat, and an ever-growing number of collectible teddy bears. 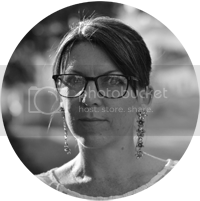 She’s a Learning & Development Advisor for a frozen food company by day and a Brown Owl and writer by night. She loves chocolate and cake. Unfortunately it doesn’t love her so she’s up at 5.15am three times a week to attend bootcamp to try and work it off! Searching for Steven is the first book in a trilogy.